Each of the Stark's components processes audio separately, so any number of amp, cab and room combinations are possible. The Stark uses Klevgrand's own algorithms, which the company says gives it a “more natural response to dynamics over the whole frequency spectrum," in addition to allowing for greater fine-tuning over each individual profile. 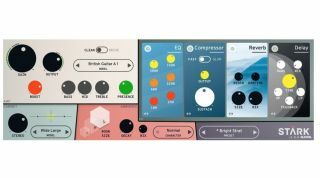 The Stark is available on desktop in VST, AU and AAX formats, and is currently on special offer for $39.99 (it's normally $79.99.) An iPad AUv3 version is also available for $9.99 (normally $19.99).